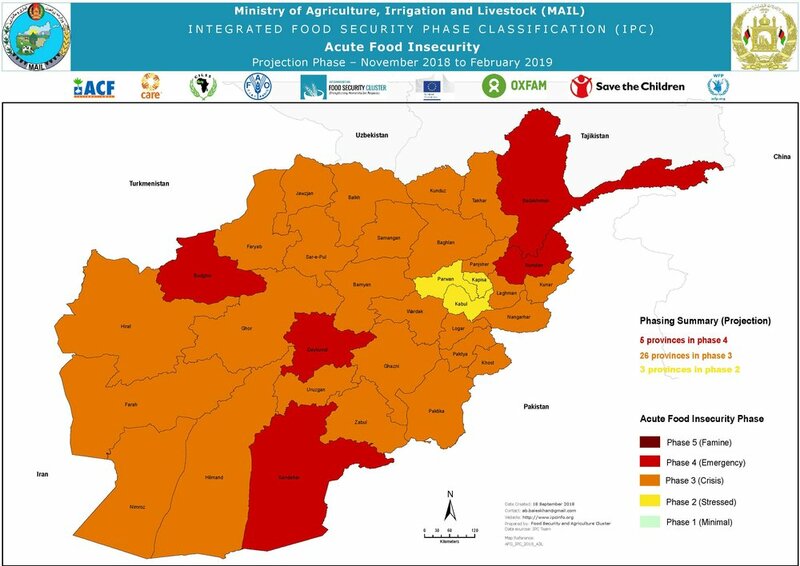 The Integrated Food Security and Nutrition Phase Classification (IPC) was introduced in Afghanistan in August 2011 and has been supported by the EU through the EU-MAIL Transition Project, which is managed by Landell Mills, since 2014. The IPC unit functions under the agricultural statistics directorate of the Ministry of Agriculture, Irrigation and Livestock (MAIL). IPC is an innovative multi-partner initiative that improves food security and nutrition analysis and decision-making. It is a common global system for classifying the severity of food insecurity and malnutrition. It also supports strategic and coordinated responses to the crises according to internationally-recognised scientific standards. IPC is an important tool for MAIL and the government to identify how many people are food insecure in each province and provide timely interventions to people in need. Since 2012, the country has been conducting IPC Acute Food Insecurity analyses in all 34 provinces on a yearly basis. 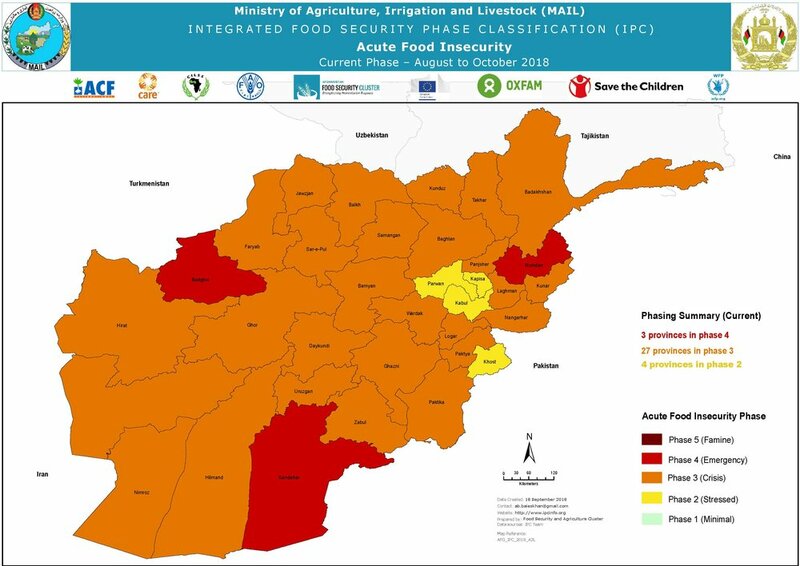 The latest IPC analysis estimates that 43.6% of the rural population in Afghanistan are suffering from food insecurity. The IPC in Afghanistan brings together technical and institutional stakeholders, including government, UN agencies and NGOs, who share knowledge and work together to ensure that the IPC system is tailored to the needs of Afghanistan. This is achieved through workshops, technical working groups meetings, steering committee meetings, provision of Technical Assistance and a gap analysis of the IPC system. You can find out more by watching the short film about the IPC in Afghanistan produced by the EU-MAIL Transition Project.